Many of West Hollywood dentist Dr. Bruce Vafa's patients choose Invisalign over traditional braces for comfortable, beautiful straightening of their teeth. If you do not want traditional metal braces, you have the option of using Invisalign teeth straightening aligners. These clear plastic aligner trays can be used to conveniently correct your smile without the social, professional and personal issues associated with wire braces. Invisalign aligners are almost invisible when worn. This is a big reason why so many people prefer the aligners to braces. But there are more benefits than just invisibility. Invisalign is also more comfortable than traditional braces, being made of smooth plastic instead of the painful wires and metal brackets of the past. The aligner trays do not cut, pinch and pull at your soft oral tissues like braces. Aligner trays of Invisalign are also removable. You take them out to eat any of the foods you typically enjoy. Unlike with traditional braces, you can gain straighter teeth while still enjoying cold, crunchy and sticky foods as part of your regular diet. You can even eat popcorn when you go to the movies or saltwater taffy on the boardwalk. You simply take the trays out to eat, then put the aligner back in for the rest of your day. Brushing and flossing is still done as usual with Invisalign teeth straightening. With traditional braces, brushing and cleaning between teeth can be a nightmare. There is substantially less risk of tooth decay and gum disease while straightening your teeth with clear aligner trays, versus wires and brackets of braces. You remove the trays for daily oral hygiene, then put them back on when you have completed your tooth care regimen. Who in West Hollywood can benefit most from Invisalign? West Hollywood Invisalign dentist Dr. Bruce Vafa can help you understand the best method of meeting your smile goals, including whether Invisalign will help you achieve those goals. 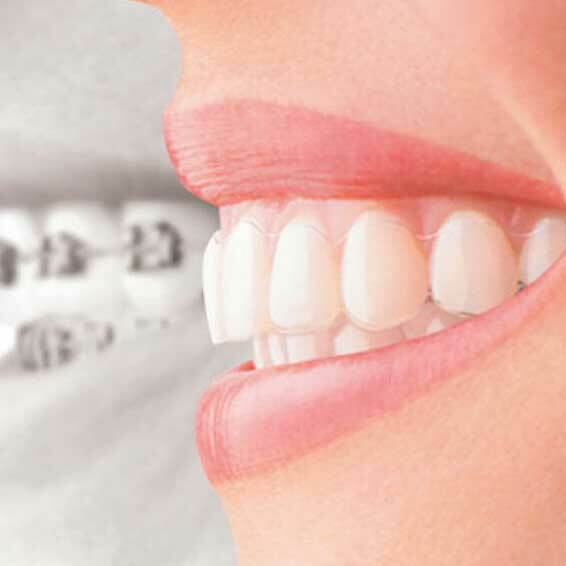 Invisalign teeth straightening requires fully developed jaws for the aligner trays to work. This means that some teens and most adults are qualified to straighten their teeth with the aligners. Some types of bite irregularities may not gain improvement through Invisalign. In these cases, the orthodontist of West Hollywood Holistic and Cosmetic Dental Care and Dr. Vafa will recommend other means of teeth straightening or procedures that can work with aligner trays to help give you the smile you want. 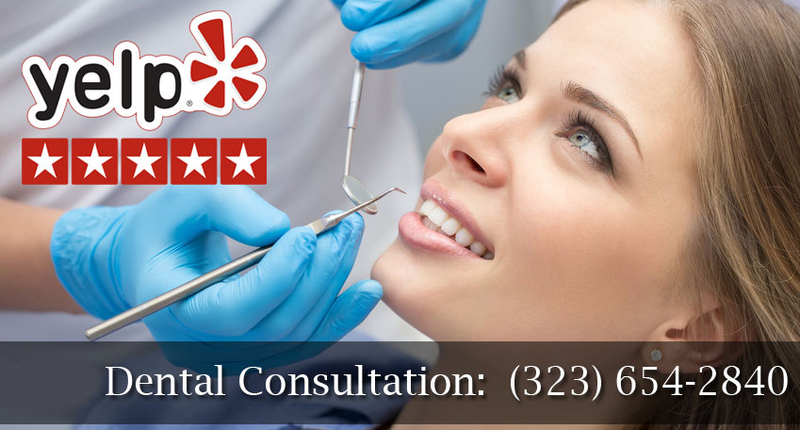 When you visit West Hollywood Holistic and Cosmetic Dental Care for a teeth straightening consultation, you will meet with the Invisalign expert. Dental impressions or molds of your teeth will be made to aid in crafting of your custom tray set. If these trays are not the right solution for your teeth, the Invisalign dentist will recommend other options. Most patients of the West Hollywood cosmetic dentist require between 20 and 30 aligner trays for complete teeth straightening. Each tray is worn for a period of time, then switched out at the next dental appointment. The appointments enable your teeth to be checked for progress and any issues you may be having, as well as to provide routine dental care as you receive your next aligner tray set. Patients are only slightly uncomfortable when wearing a new Invisalign tray set, at first. As your teeth start to adjust to each new tray, you become progressively more comfortable in the trays. But none of the slight discomfort felt using Invisalign aligners compares to the pain, inconvenience and stigma of wearing traditional braces. The more dedicated you are to wearing your aligners as prescribed, the better your Invisalign treatment will go. Once you have worn all of your aligner trays, you will likely wear a retainer for a specified period of time. This helps maintain the results you gained through the 20 or 30 trays over the preceding months. After going through Invisalign treatment, patients enjoy a more confident, straighter smile and a lower risk of tooth decay, TMJ and gum disease due to aligned teeth. Invisalign clear aligner trays are almost invisible when worn and fit snugly yet comfortably over your teeth. You wear them throughout your day and night, taking them out for daily oral health care and eating. Each clear aligner tray moves your teeth slowly and slightly, both horizontally and vertically. If your teeth need to be rotated to better positioning in your mouth, aligner trays can even do so. Each Invisalign aligner is designed to provide the right amount of movement at the right time, where it is needed. This movement with the trays takes the place of old fashioned braces tightening of wires and brackets by the orthodontist. Each Invisalign tray is worn for about a week. You then dispose of the worn tray and start using a new one in the series. With each tray, your teeth move slightly more toward your end position as mapped out by your cosmetic dentist. Your Invisalign treatment plan is developed from beginning to end with about 20 to 30 clear aligner trays taking you through the treatments to your perfect smile. To map your treatment, a digital imaging device is used to create 3D images of your teeth or physical impressions will be made using a dental mold. Using the images or impressions, your cosmetic dentist will craft a treatment plan that determines how long your Invisalign treatment will be and how each tooth will be moved. Using all of this information and impressions, your custom aligner trays are made for you by Invisalign using proprietary material that is invisible to others when worn. You will wear these clear aligner trays every day and night for about 22 hours. The trays are taken out for eating, brushing and flossing. As your teeth gradually move and shift, your West Hollywood orthodontist will provide new aligners at routine visits as he checks your progress. With each new aligner tray, you can see your smile changing and you are closer to your goal for a straight, beautiful smile.